The death penalty condemns the innocent to die. The death penalty is not a deterrent to violent crime. 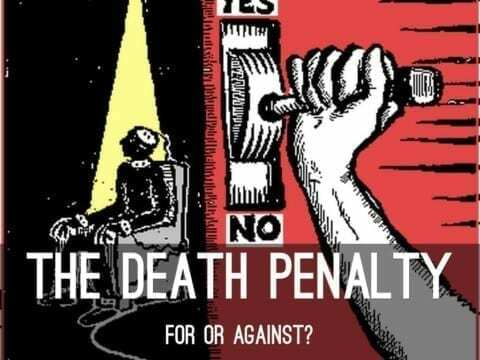 The death penalty is “cruel and unusual punishment.” The death penalty fails to recognize that guilty people have the potential to change, denying them the opportunity to ever rejoin society. In the US, in states where the death penalty has been abolished, there has been no significant “change in the rates for serious criminal offenses, such as murder”. Retribution is just another word for revenge— it is essentially just a form of the flawed thinking that two wrongs can make a right. The pro argument is that killing people is wrong, therefore you should kill people for doing it, which just doesn’t make sense. This creates a cycle. Making this a valid deterrent would not make sense the number of murder rates just continue to rise. The Death Penalty by Elvis is licensed under a Creative Commons Attribution-ShareAlike 4.0 International License. Who is the better rapper Kendrick Lamar vs J. ColeDpoy?